Hey-you remember those "leggo my Eggo" commercials (heck...they may still have them on. Perhaps just on children's channels?) 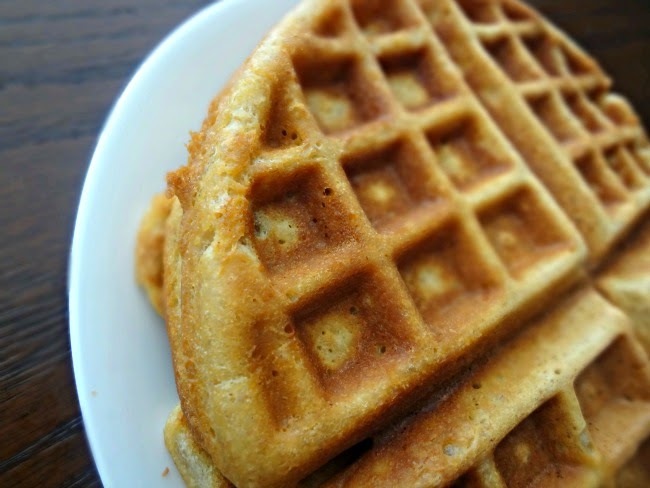 Anyway...toaster waffles. They're a thing but they've never really done it for me. However I have a hard time finding the time or energy to make myself a legit. breakfast in the morning. Usually I just grab something small and easy that is sitting around. If there's nothing healthy...then cookies happen. Which I know is bad. 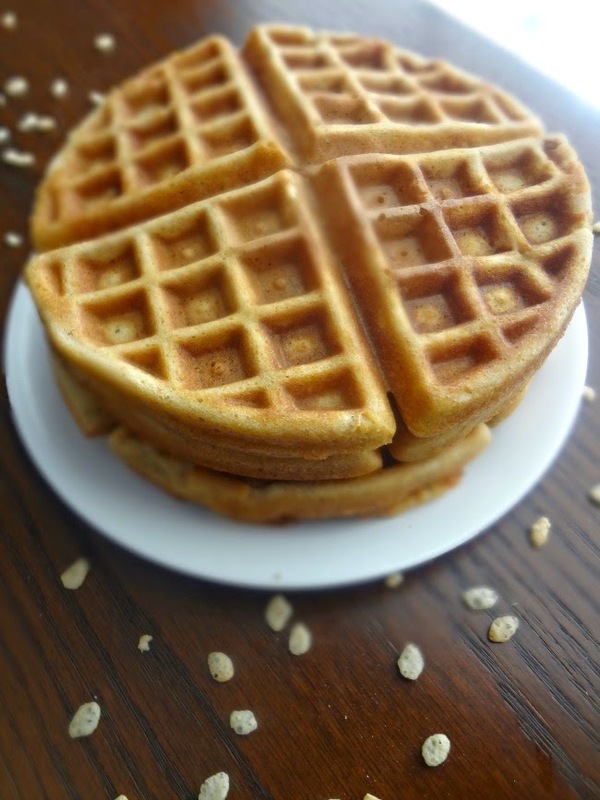 These waffles are great because they use whole wheat flour and coconut oil to make them a bit healthier plus they have rice cereal in them! Which is a unique and fun little spin that adds a bit of extra crispness. 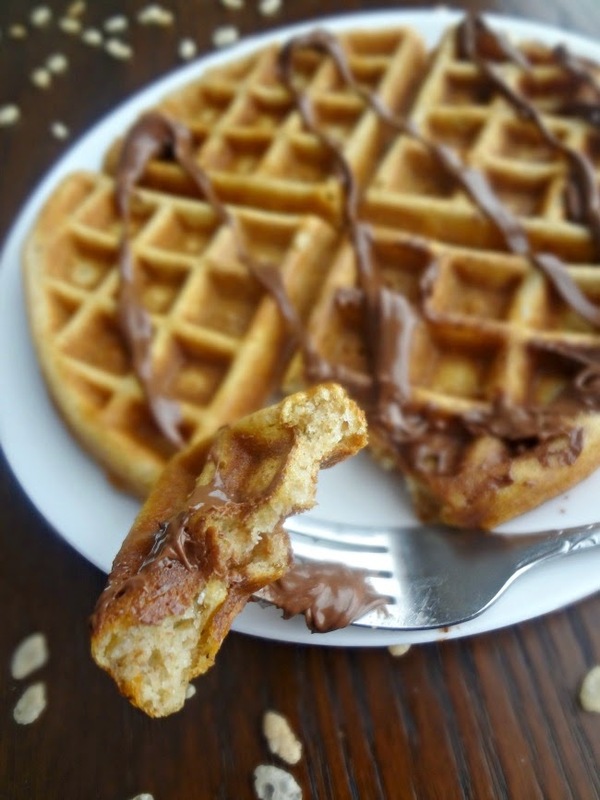 I love this new breakfast hack so much that I am much more motivated to occasionally make a bunch of waffles because I know that I'm going to be having some gooood breakfasts for a few days, at least! And I know little cheats like this will make my life easier when I-eventually-start having kiddos. 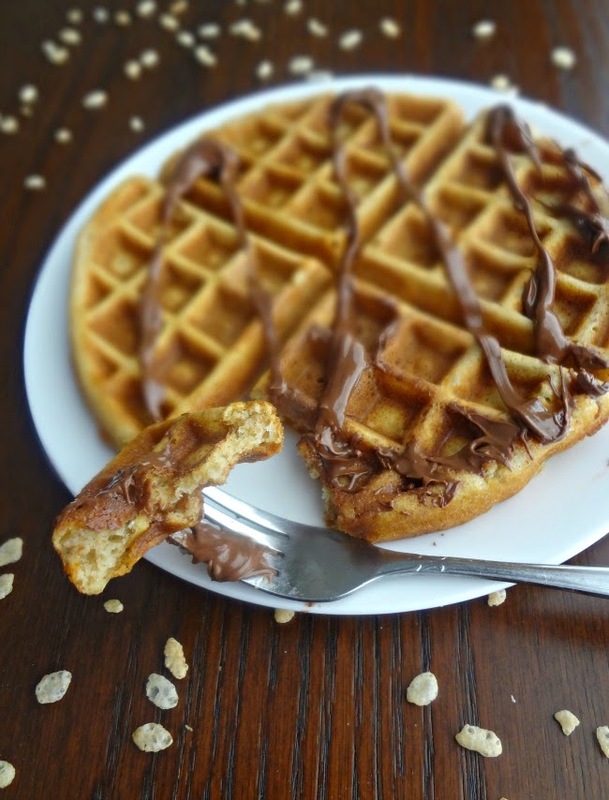 Now I'm trying to thick of really healthy waffles I could try to make to feed my theoretical, down the road, children....yepp. Par for the course with my brain. 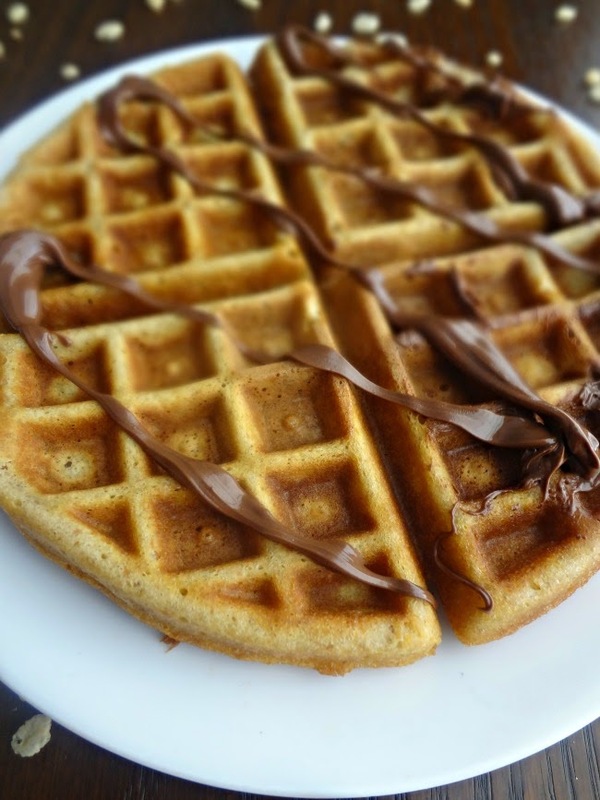 Makes 4-5 Belgian waffles or 8-12 other waffles. In a large bowl, whisk together the flours, cereal, cornstarcg, brown sugar, baking powder, baking soda, and salt. In a medium bowl or large measuring cup whisk together the egg yolks, milk, vanilla extract, and oil. Using a wire whisk or electric mixer, beat the egg whites until stiff peaks form (or soft peaks are also fine in this recipe). Mix the wet ingredients into the dry. Gently fold in the egg whites. Don't over mix! Cook according to waffle maker directions. After completely cooled, store leftovers in a freezer bag and reheat in the toaster as needed. 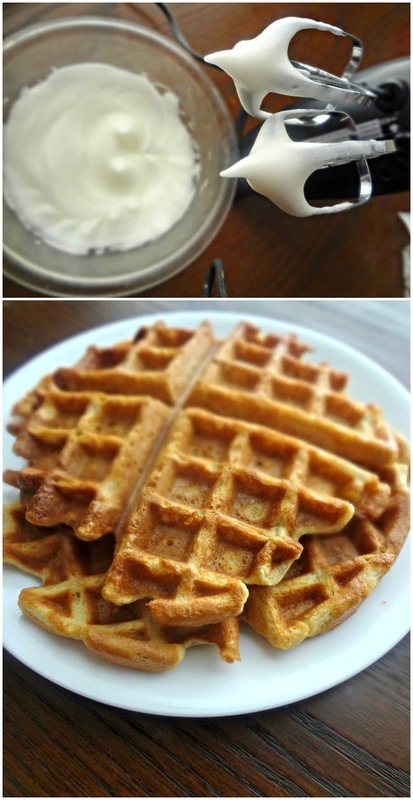 These are some of the prettiest waffles I have evah seen. Chocolate Chip Cookie Dough Cupcakes-Cupcake Day!